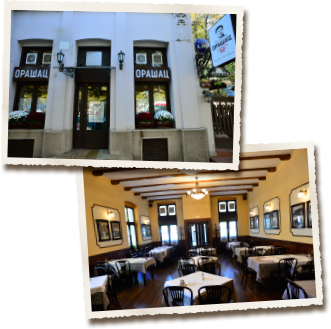 Orašac restaurant is one of the last in this street, but also in the center of Belgrade, which has not lost its traditional identity. Good barbecue and excellent dishes prepared by recipes from old Serbian cuisine are proof why Orašac restaurant bears the name of the leading national cuisine in Belgrade. The sounds of drum and melody old songs inspire foste to always baggy this restaurant known and called Skadarlija on the boulevard.